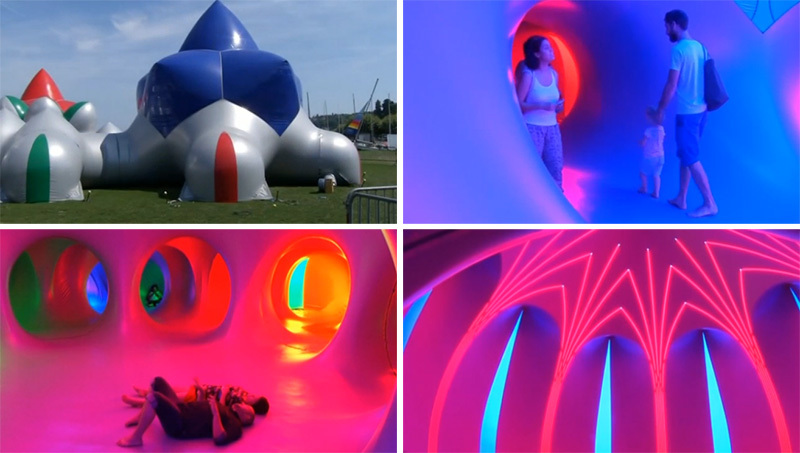 A large inflatable maze, created by British artist Alan Parkinson, has recently been setup in Geneva, Switzerland. 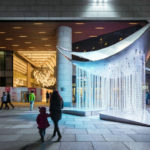 The maze is a 1000 square metre (10,763 square feet) structure, made of unique plastic tunnels, and uses light to turn four colors into a variety of hues. 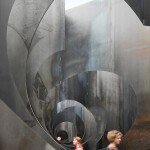 Visitors quickly get lost in the labyrinth of pathways and alcoves of glowing light and vibrant colors.